View More In Docking Stations - Page 3. Designed exclusively for ultraslim HP EliteBook Notebooks. Expands display, network, and device connectivity so you can be more productive throughout the day-all through a simple one-click slide-in side dock. Four USB 3.0 ports offer high-speed connectivity to the USB devices you use most. USB 3.0 reduces the time required for data transmission (vs. USB 2.0)1, is backward compatible with USB 2.0, and is bi-directional. Display Port and VGA ports deliver legacy and future compatibility with your choice of video devices and an Ethernet/LAN port keeps you online. 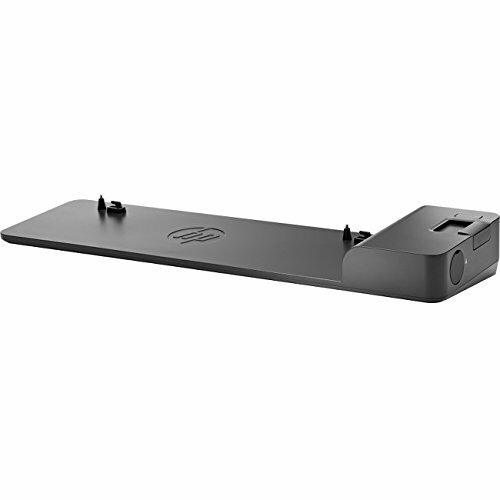 Compatible with EliteBook 720 G1-G2, 725 G2-G4, 740 G1-G2, 745 G2-G4, 750 G1-G2, 755 G2-G4, 820 G1-G4, 840 G1-G4, 850 G1-G4, 1020 G1, 1040 G1-G3; EliteBook Folio 9480m, 9470m; EliteBook Revolve 810 G1, 810 G3; Pro x2 612 G1; ProBook 640 G2-G3; ZBook 14; ZBook 14u G4; ZBook 15U G3-G4 Mobile Workstation.